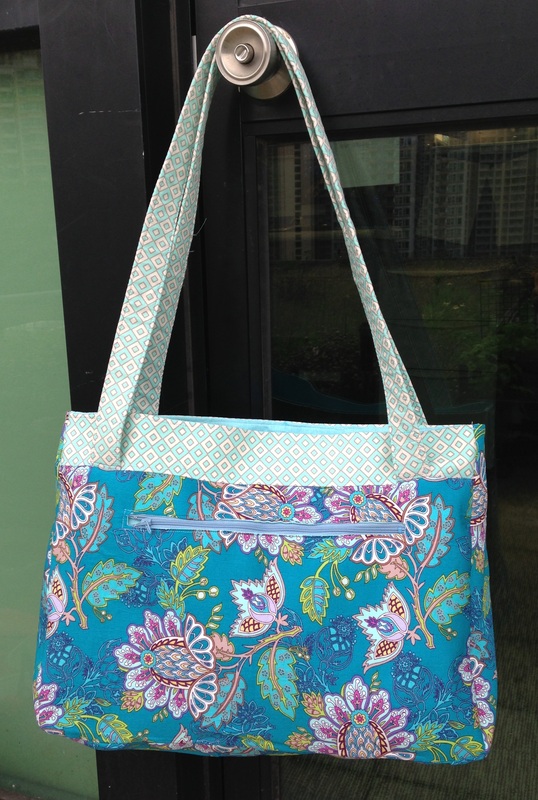 I have just finished testing another bag pattern for Sara from SewSweetness. 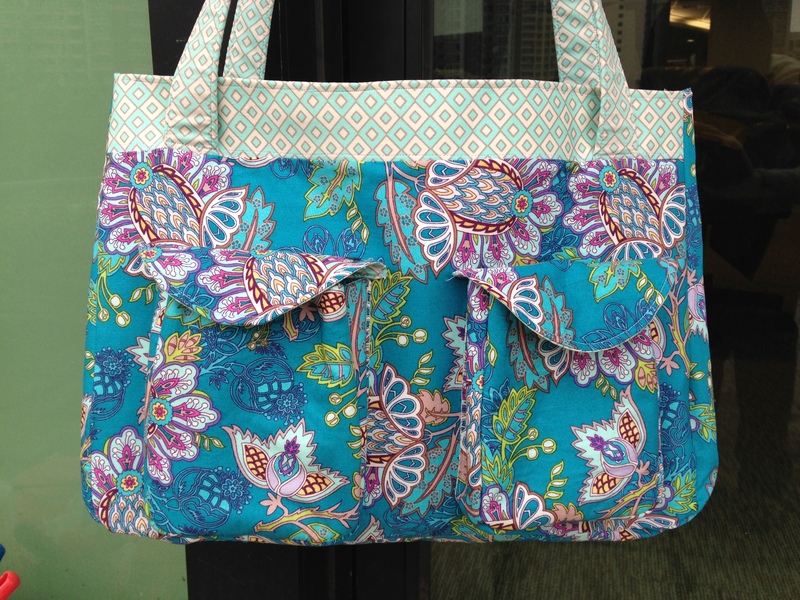 This is a Camera/Accessories Bag, very big in size, the finished size is about 15-1/4” long x 11” tall. The cool thing about this bag is that it has lots of padding, which will be very useful to keep your equipments and accessories nice and safe. 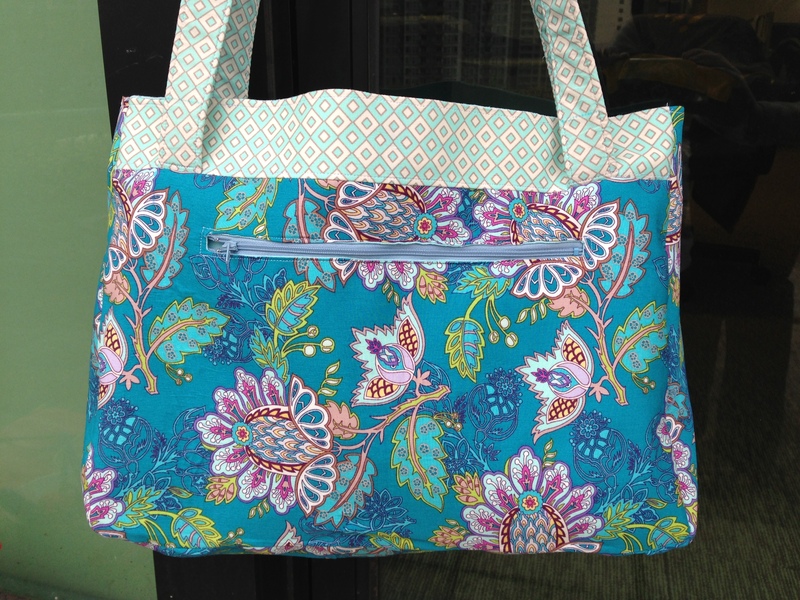 The closure of this bag uses sew-in invisible magnetic snaps. Although I could not order it in time, I bought some magnetic snap and make my own invisible magnetic snaps instead following Sara’s suggestion. 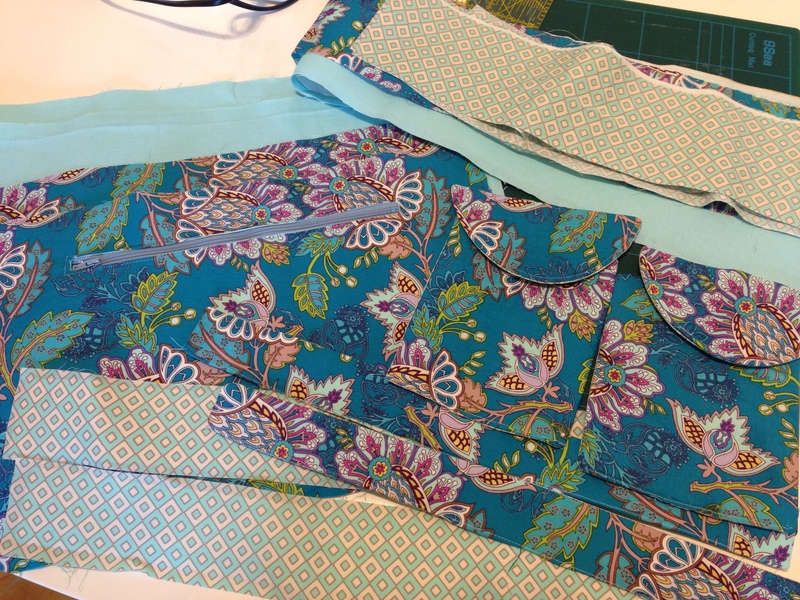 This pattern is for intermediate to advance level sewing. The instructions were clear with lots of helpful hint to guide you through. 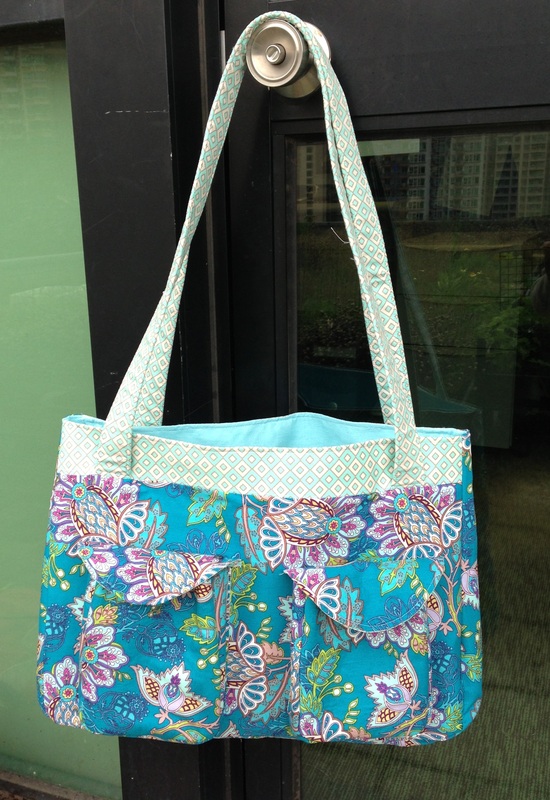 The only trouble I had with this bag is the thickness of the fabric when assembling the pieces together. Sara intructions is very clear, so just follow her steps and you will get there. 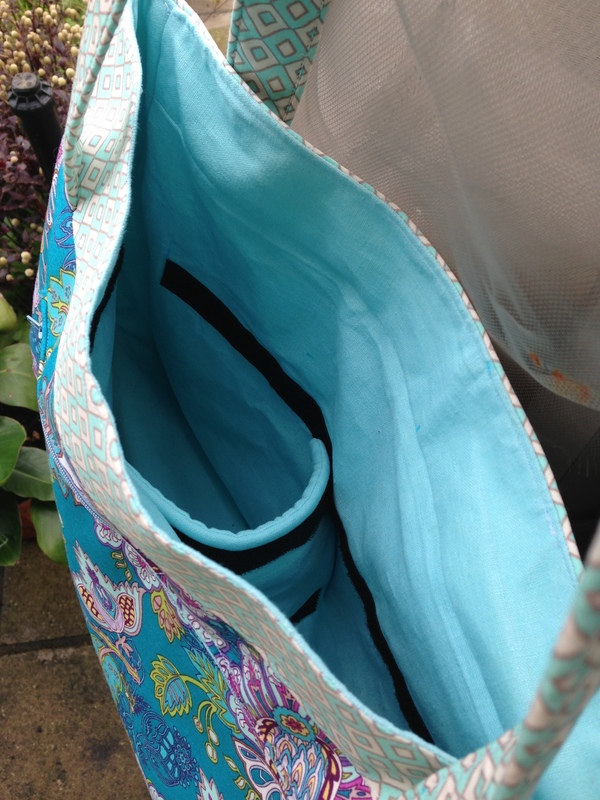 The fabric I used for this bag are my favourite Art Gallery – Exotic Flora Deep and Moorish Rug Aqua from Bazaar Style!